……so there I am, an English girl in Yemen. As the taxi drives us from the airport, I can see that every woman is dressed in the abaya and full veil….. I ask Yazid if I need to buy a veil. He reassures me it will be fine. There are areas where I will need to be careful but in busy places such as the mall and tourist spots, I should be OK. I'm pictured here wearing the abaya and hijab on one of our trips out. I would always wear the abaya in the car and then when Yazid and his friend felt it was safe, I could remove it and wear western clothes in certain areas. As we drive through the streets, I can see the neglect and the poverty. Rubbish piling up along the roads, buildings fading with only memories of the long forgotten good times, when Aden was a thriving tourist destination. 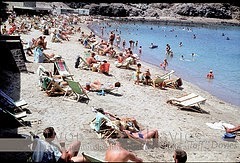 When the beaches were packed with holiday makers from around the world, there for the guaranteed sunshine and warm waters of the Gulf of Aden. The driving didn't seem to follow any particular rules and there were checkpoints everywhere…. to check for suspect vehicles or individuals in an attempt to control the security situation. We occasionally had bomb detection too.... Where the security would pass a mirror under the car and give us a good look! I kept a pretty low profile anyway but there were moments when yazid told me to really sit back or even hide. I think he was just being cautious and felt a big responsibility to keep me safe. 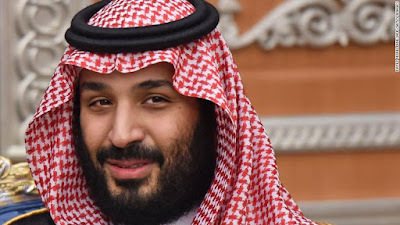 Unfortunately, it would be too dangerous for Yazid and his friend to drive me into the countryside or to Sanaa or to Hadramout to see some of the historic sights. It is highly risky to carry westerners in your car with the ever present danger of kidnap from tribal factions or Al Qaeda. So instead we stuck to Aden and our daily routine was for Yazid to go out and get us some food from the local restaurant, eat at home and then go out in the afternoon. The food was amazing. 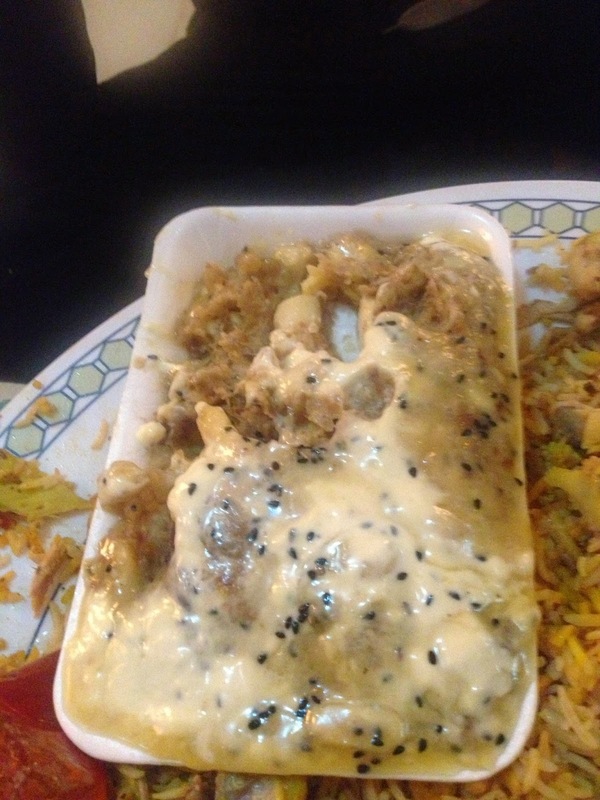 The favourite Yemeni speciality is Mandi - a rice dish with chicken or lamb or occasionally fish…. and it comes with a broth and various spicy sauces and a salad. The meat is cooked in a tandoor and is truly delicious. 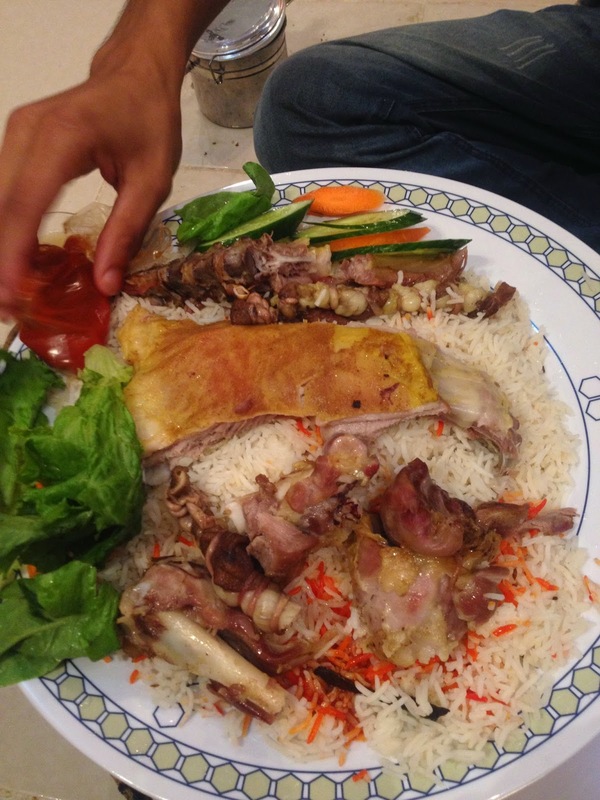 The name Mandi stems from the arabic word for dew, referring to the texture of the meat, which was unbelievably tender. I have certainly never tasted lamb that good in my entire life. And every part of the animal was there…. nothing is wasted. For desert we had Masoob a few times - the most incredible mash up of banana, bread, honey, raisins and cream. Simply divine and wonderfully rich - but if you want to have it as desert….. leave space!!! Its extremely filling. 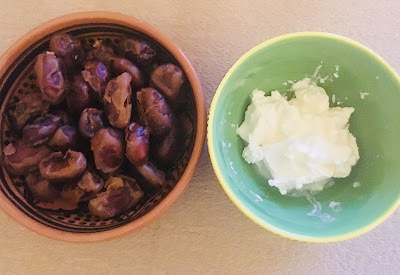 We would eat together from the same large plate, as is the norm, and we ate with our hands because, as Yazid told me….. "Allah gave us hands to eat with". After dropping most of the rice in my lap with the first few attempts, I soon got the hang of it….. well I thought so. Im not sure my Yemeni friends were quite so convinced, but they were very gracious in their praise of my efforts! Yemenis eat as if they haven't eaten for a month..... Hoovering everything up very quickly, fistfuls of rice, ripping the meat apart with enthusiasm and wasting no time in conversation. As I sat with Yazid and his friend one day having lunch exclaiming... "Shway shway!" … .. "Slowly!! "…. I told them how in Europe, especially Italy, France and Spain, people will sit for 3-4 hours over a meal... Drink wine, eat slowly, tell stories, have conversation. They found this quite hilarious because although they enjoy their food and its really good, their pleasure is in what comes later.... qat. This is what they spend hours doing as a social activity with friends. 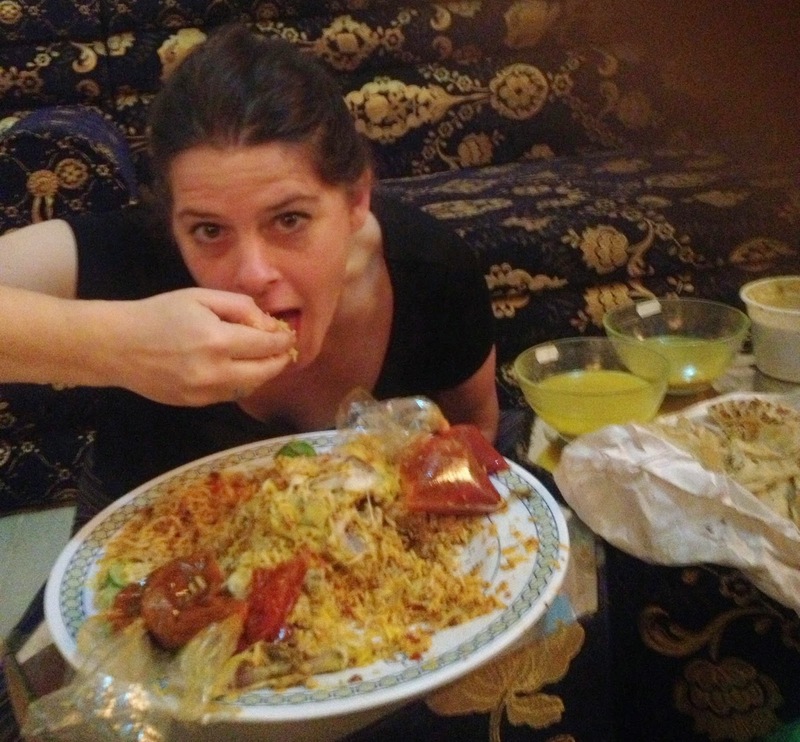 Eating is a necessary thing to be done and then you can relax and enjoy chewing qat and conversation. However there was no qat on this occasion and we didn't have any throughout my trip. Mainly because I had already registered my objection to it so Yazid made sure there wasn't any around. However, I now regret this a little. My maxim has been not to reject any new experience and this would have been an interesting one. I wish I'd tried it just once. So once we had finished our lunch, I would dress in the abaya and hijab over my clothes and after a quick check, we'd leave the house and get into the car. This particular occasion we were going to the beach and the harbour. Travelling back through all the checkpoints and towards the coast. As I mentioned already, this was once a thriving tourist destination, with packed beaches and people coming from around the world to witness Yemen's unique culture, architecture and beautiful waters of the Gulf of Aden. Now those same beaches are deserted of western tourists , following a series of attacks on westerners, tourist groups being targeted, several kidnappings, and the media coverage of AQAP (Al Qaeda in the Arabian Penninsula), which is based in Yemen. I took the photo above on the day we visited Gold Maher Beach, one of the most famous beaches in Aden. With the exception of one or two families, it was deserted. It was beautiful and I would have loved to have taken a dip. However, under the now strict adherence to an austere and ultra conservative interpretation of Islam similar to that of Saudi Arabia, all women must be completely covered and fully veiled at all times in public. So women can swim in the sea, and there are full body swim suits for women to enable them to do so safely. But not being prepared with such attire and not wanting to take any unnecessary risks or draw any attention, I wore my abaya and hijab and just took a walk for a while and took some photos. It was a beautiful day - very warm but breezy so we decided to drive a little further along the coast to another beach, which was much busier. The locals and other tourists from the region still frequent these fabulous coastal beauty spots. There were quite a few people swimming and families relaxing and playing on this beach. The atmosphere was wonderful, really friendly, very relaxed and happy and there were little shops selling drinks, ice creams etc I was really enjoying myself, just taking it all in, breathing the fresh sea air, watching the families having fun……. ….. when suddenly I noticed Yazid walking up to a guy holding a horse!…… seconds later, he was hopping on and riding off down the beach!!! This is what I love about Yemenis - they don't think about, they don't talk about it, they just do it. If they want to do something , they do it, whatever the consequences…… I guess you could say thats what gets people into trouble but there is something to be said for it ……. Sometimes in Britain, we analyse things so much before we do anything, that we hold ourselves back from really living. I guess if you know that your life is in danger on a daily basis, you just get on and do things that you want to do. I want to ride that horse, so Ill talk to the guy and thats it…. done! Yazid told me later that he used to ride horses with his grandfather on that beach so the temptation was irresistible. On the drive back, we continued along the coast, past small harbours, beaches, inlets and rocky outcrops and I got a real sense of just how beautiful South Arabia (as it was once known) truly is.